ilton Wright was born 1828 on his father's farm in Rush County, Indiana. When he was twelve, the family bought a new farm in Fayette County, a few miles east. The move was fortunate for Milton because the schools were much better in Fayette County . Milton threw himself into his schoolwork and devoured books. His passion was politics; he was virulently anti-slavery and argued the cause of abolition with his classmates. He would practice public speaking while working in the fields and might have become a politician if it hadn't been for an unlooked-for religious experience. His own personal conversion which came over him in 1843 when he was just 15 years old . He did not join a church immediately, but investigated the various faiths and in 1847 chose to become a United Brethren along with his brother William. Milton rose quickly in the church. He was a deacon within two years, gave his first sermon a year later, and joined the local church governing body in 1853. He bought his own small farm near Fairmont in Grant County, Indiana, but rented it out when he was given the post of Supervisor of the Preparatory Department at Hartsville College, a United Brethren institution. It was here he met Susan Koerner, his wife-to-be. It was a long courtship. Milton fell ill that year and had to return to his farm. He recovered and taught school at Neffs Corner, in Decatur County, Indiana for two years while he studied for the ministry. In 1856, he was ordained a minister by the White River Conference of the Church of the United Brethren. They appointed him to be a "circuit preacher," traveling from church to church in Indiana. His circuit took him by Hartsville, where he continued to see Ms. Koerner. 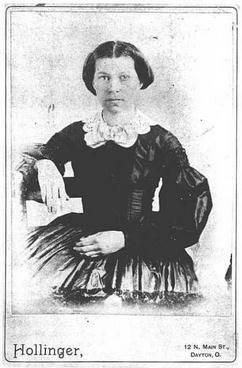 In 1857, he accepted an appointment as a missionary in the gold fields of Oregon and he asked Susan to marry him and travel west. She agreed to marry but declined to go to Oregon. Instead, she said she would marry Milton when he returned from the west, provided the two of them still felt the same way about each other. Milton returned in 1859 and married Susan on Thanksgiving Day. He worked as a part-time schoolteacher until he was give another appointment by the Church of United Brethren, once again serving as a circuit preacher in Indiana. The couple moved to the Grant County farm where their first son Reuchlin was born in 1861. Their second son Lorin was born in 1862 on Dan Wright Jr.'s farm in Fayette County where Milton was supervising his recently deceased father's affairs. The family moved three more times to various locations in Indiana as Milton was assigned to different circuits. As an investment, Milton bought a second farm near Millville, Indiana in Henry County. Like most United Brethren, Milton was a pacifist and did not fight in the Civil War nor did he preach to the troops. But because he stood against slavery, he was very much involved in the politics surrounding the war. 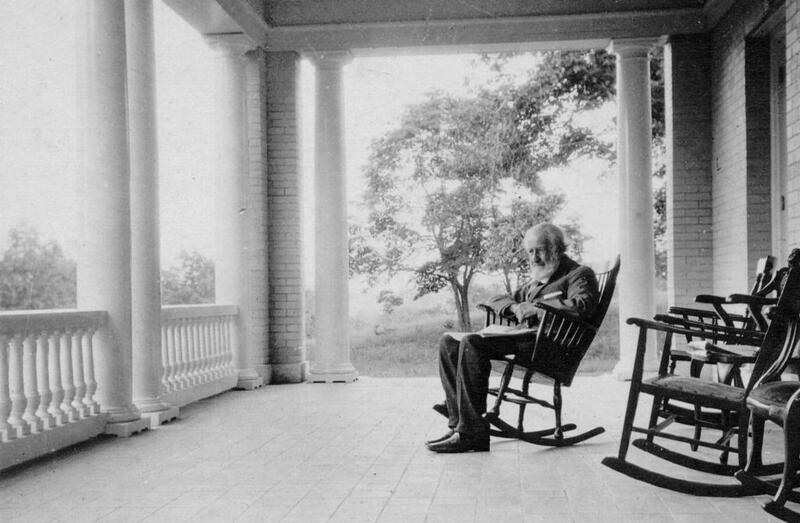 He was invited to give sermons on special events like the recapture of Fort Sumter and the death of President Lincoln. After the War, Milton and Susan moved their family to the Henry County farm where Wilbur Wright was born in 1867. Milton remarked at birth that Wilbur's head seemed to be "two stories tall," and was relieved when his son grew into his oversized head and his appearance improved. He remarked that it was several years before Wilbur could wear a hat without appearing ridiculous. In 1868, Milton was named as a professor of theology at Hartsville and the pastor of the Hartsville Chapel, so the Wrights moved again. Milton's work at the college laid the foundation for the United Church of the Brethren's first professional training school. At the General Conference of the United Brethren in 1869, Milton proposed that the church create such a school. His motion was carried, eventually resulting in the Union Biblical Seminary in Dayton, Ohio. Today it is known as the United Theological Seminary. Two more events at the General Conference changed Milton's life. For the first time, liberals within the church suggested that the United Brethren lift its prohibition against joining secret societies like the Masons. Most of these societies had morphed from the political cabals that they were at the beginning of the century to benign social clubs. Milton led the fight against the liberals and they retreated – for a time. 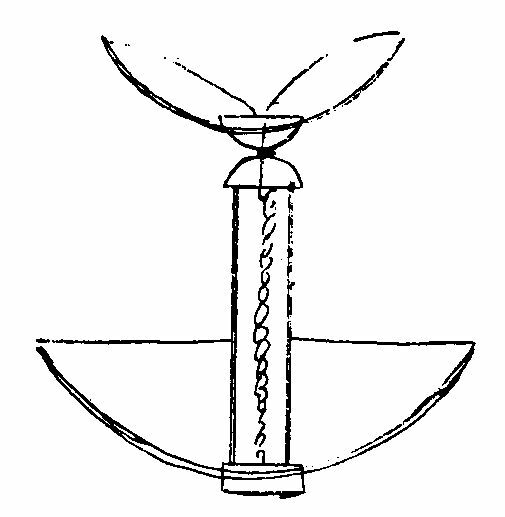 Secondly, and of more immediate importance to the Wright family, Milton was elected the editor of the Religious Telescope, the church's newspaper. 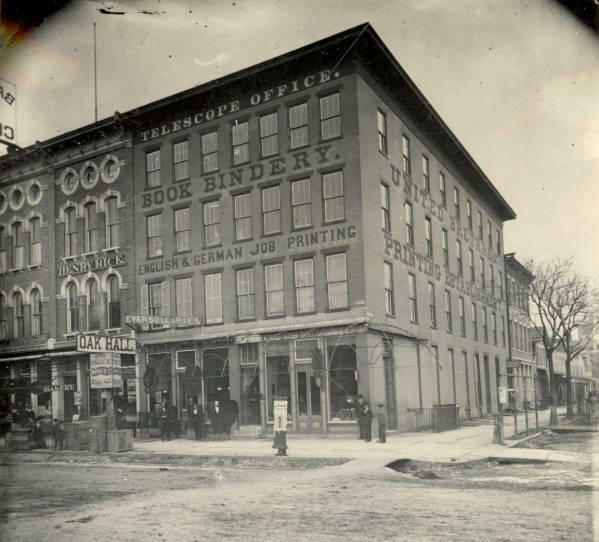 The publishing offices of this newspaper were in Dayton, Ohio, so the Wrights picked up and moved once again. 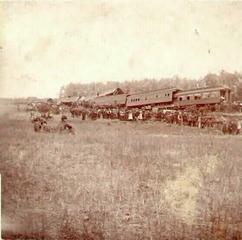 Milton and his family arrived in Dayton in June 1869. At first, they rented homes on Third Street and then Second Street. While at Second Street, Susan gave birth to twins, Otis and Ida, who died just a few days afterwards. 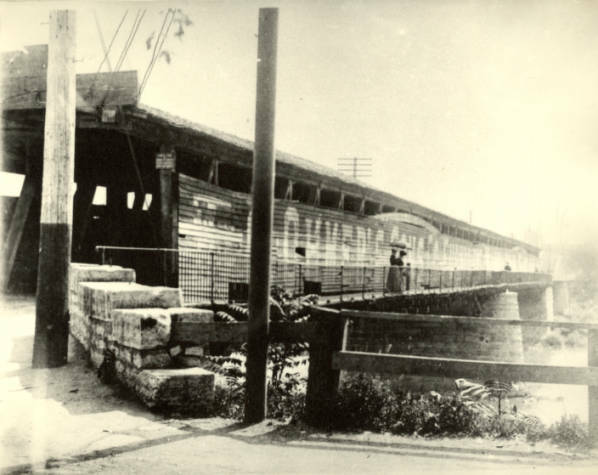 Then Milton bought a house still under construction across the Great Miami River from Dayton in an area that had once been known as Miami City. It had been annexed by Dayton in 1869 and was now simply called West Dayton. Milton moved his family to West Dayton when the house was completed in 1871. Susan was four months pregnant at the time and she gave birth to her fifth (fourth surviving) son Orville in the new house at 7 Hawthorn Street. Milton was an effective editor, letting many voices be heard in the Telescope, not just those he agreed with. However, he did continue to champion his stand against secret societies. He also took up the causes of women's rights and temperance. The United Brethren Church held their General Conference every four years and in 1873 the conservatives in the church hierarchy were concerned that the liberals had the support to lift the church ban on secret societies. One of the Church's by-laws stated that any such amendment in the fundamental rules – called the Discipline – had to be approved by two-thirds of the majority voting. At the conference, the conservatives argued this meant two-thirds of the entire church membership. The amendment was tabled for another four years. The Church of the United Brethren continued as it had before, Milton remaining in place as the editor of the Religious Telescope. In 1874, Susan gave birth to their second (first surviving) daughter Katharine at 7 Hawthorn Street. Katharine was their last child. Over the next four years, the United Brethren conservatives buttressed their position against secret societies and other reforms that the liberals had suggested. Milton emerged as their leader in this debate, and in the General Conference of 1877 the conservatives were able to beat back the liberals. Furthermore, Milton was elected to the coveted post of a Bishop in the church and was awarded much of the United States between the Mississippi River and the Rocky Mountains as his bishopric. It was a great honor; but it came with enormous responsibilities. Once again, Milton was something like a circuit preacher, but this time his travels took him up to 8000 miles each year as he visited each of the fifteen United Brethren conferences in the far-flung West Mississippi District. During all these travels, Milton remained in contact with his family through letters. He corresponded not only with his wife Susan, but also with their sons and daughter. In fact, it was mandatory for the kids to write their father while he was away on church business. In this way, Milton remained aware of and involved in the day-to-day goings-on in the Wright household and the lives of his children. 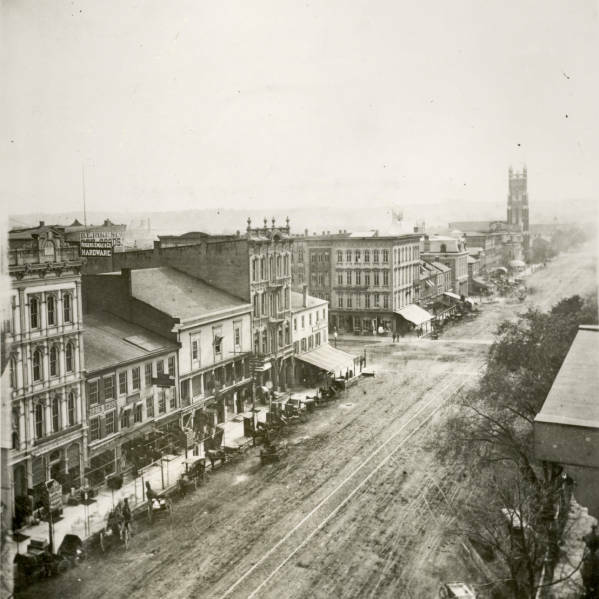 The Wright family remained in Dayton for the year following the 1877 General Conference, but the extra travel was too much of a strain on Milton and his family. In 1878, he moved Susan and the kids to Cedar Rapids, Iowa. It was while they were here that Milton came back from his travels with a novel toy for his two youngest sons, Wilbur and Orville. 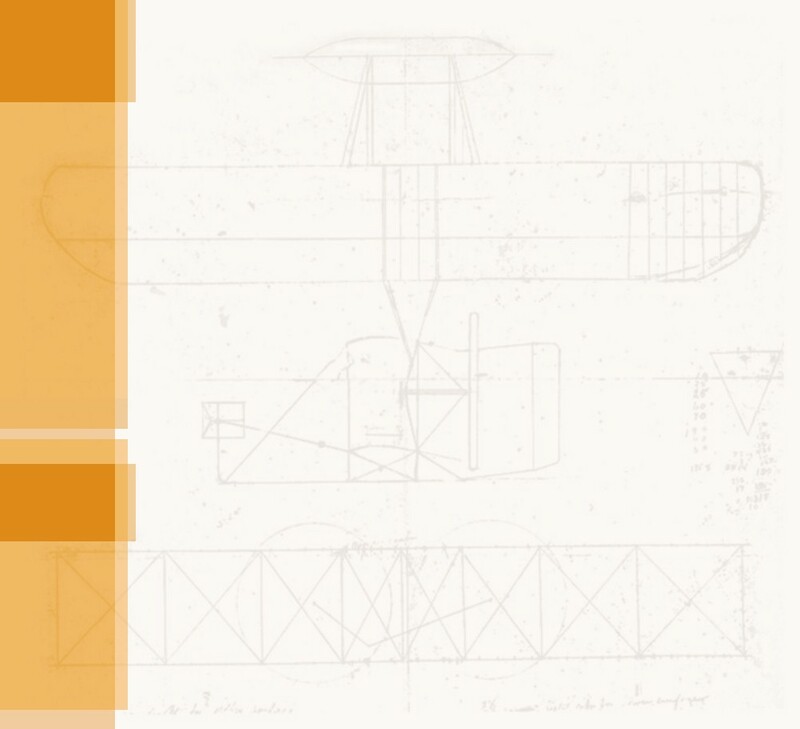 It was a rubber band-powered helicopter patterned after the designs of Alphonse Penaud, a French scientist and the "father of model airplanes." The boys played with the toy – which they called a "bat" – until they wore it out, then began making their own copies. It was their first recorded experience with aviation. Two years later, Milton built a new house on a plot of farmland near Adair, Iowa, but the family never moved in. 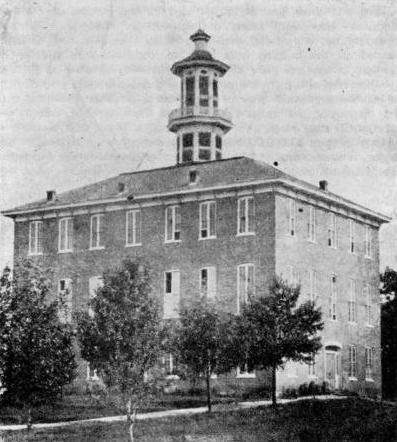 The General Conference of 1881 was held in Lisbon, Iowa, and the liberals had regrouped. Although they did not have enough votes to lift the prohibition against secret societies or enact other liberal agendas, they managed to bring down Milton Wright. He was not re-elected as a Bishop, nor was he reappointed to his old post as the editor of the Religious Telescope. Instead, he was reduced to a circuit preacher, his salary cut, and given a circuit in Indiana. It was essentially the same position he had held when he was first ordained. Milton obediently moved his family back to Richmond, Indiana. About the same time, Susan's health began to fail. By 1883, she exhibited unmistakable signs of "the consumption" – tuberculosis. Although the demotion was a political defeat for Milton, he redoubled his efforts to promote his conservative views. In addition to his responsibilities as a minister, he began to issue leaflets supporting the conservative point of view. Within a few months of returning to Indiana, he founded a monthly newspaper, the Star, to help bind together the conservative United Brethren community and (hopefully) increase their numbers. It was for this newspaper that Wilbur Wright may have created his first practical invention, a machine that automatically folded the newspapers for mailing. 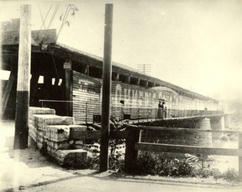 In 1884, Milton determined to move back to Dayton. The city was the unofficial capital of the Church of the United Brethren owing to the presence of the publishing house and the seminary, but it wasn't so far from Indiana that Milton couldn't attend to his circuit-riding ministry in Indiana. More than anything Milton wanted to be in the middle of the fray when the fight was joined between liberal and conservative Brethren at the General Conference in 1885. The house at 7 Hawthorn Street was rented, so the family moved into temporary quarters on Summit Street just a block south of Paul Laurence Dunbar's home. This famous African-American poet was just an unpublished teenager at the time, but he would soon become good friends with Orville and Wilbur Wright. The Church leaders immediately took action against Milton and cut his already-reduced salary by one quarter, citing as a reason that he was no longer living within his assigned district. The 1885 General Conference, which was held in Fostoria, Ohio, did not go well for the conservatives. Early in the conference, the liberals pushed through the appointment of a 13-man committee to study the problems created by the clashing liberal and conservative agendas. Four days later, the committee recommended and the Conference adopted the appointment of a 27-man committee that would rewrite the United Brethren Church constitution, its Confession of Faith, and the Discipline to bring them up to date with the times. 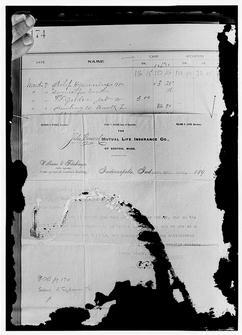 The committee itself would oversee the church-wide voting on these new documents, then bring them to the 1889 General Conference for adoption or rejection. The United Brethren leaders were so vociferous in their disagreements that the developing schism caught the attention of the popular press, and the press gave the conservatives a thorough shellacking. 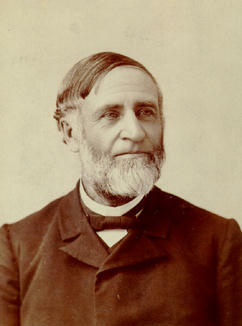 As a final act to limit Milton Wright's influence in this fight, the United Brethren re-elected Milton as a Bishop and put him in charge of the west coast conferences in California. Milton refused to move from Dayton, but his new appointment required that he spend a great deal of time out of town. Over the next four years, he would spend one day out of every two in California. Bishop Milton Wright formed his own Constitutional Committee from conservatives and the group held annual meetings as they prepared for the showdown that was coming in 1889. He also started yet another newspaper to champion the conservative cause, the Christian Conservator. His wife Susan, meanwhile, continued to slowly succumb to tuberculosis. Wilbur, who was in his senior year of high school when the family moved back to Dayton, decided to forego college. He spent more and more of his time nursing his mother. By 1886, she was an invalid. Wilbur also joined in his father's fight, keeping tabs on the committee that was rewriting the church constitution while Milton was out of town. He also wrote some articles and leaflets for the conservative cause that not only echoed Milton's belief, but were surprising cogent and erudite for a man who was just out of his teens. All this effort went for naught. The liberal constitution was adopted by popular vote, despite the fact that over three-quarters of the United Brethren did not vote at all. The conservatives insisted that this meant the new constitution had not received the required two-thirds of the membership vote; the liberals pointed out that well over two-thirds of those who had voted preferred the updated rules. The leaders of the Church gathered at the General Conference in York, Pennsylvania in 1889 for a final vote to accept or decline the new constitution. The vote was 111 to 20 to accept. Milton and 14 of the 20 dissenters walked out of the General Conference and formed their own church, the Church of the United Brethren, Old Constitution. 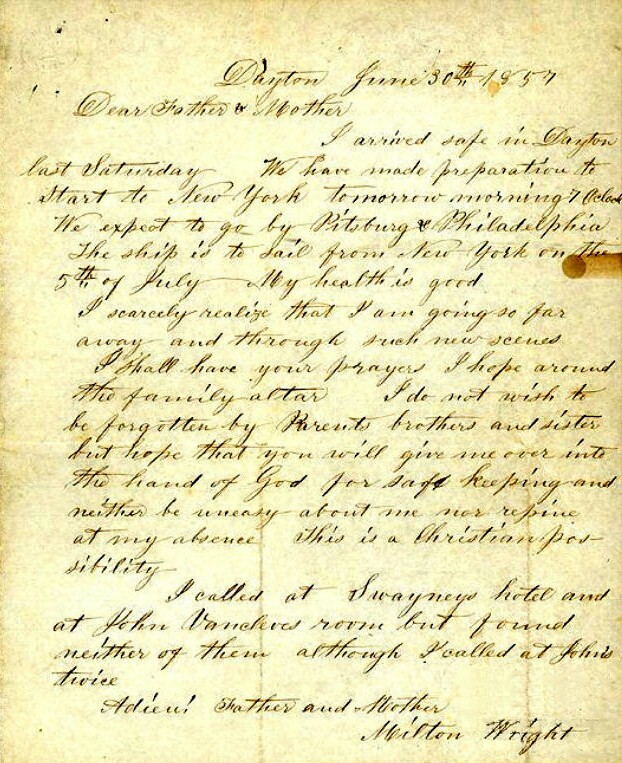 Milton returned to Dayton to find his wife Susan sinking. She died a little over a month later on July 4, 1889. Milton wrote in his diary, "...thus went out the light of my home." She was buried on July 6 in Woodlawn Cemetery and two days later Milton was back at work, arranging for the publication of the rules for the new church that he and his fellow dissenters had formed. 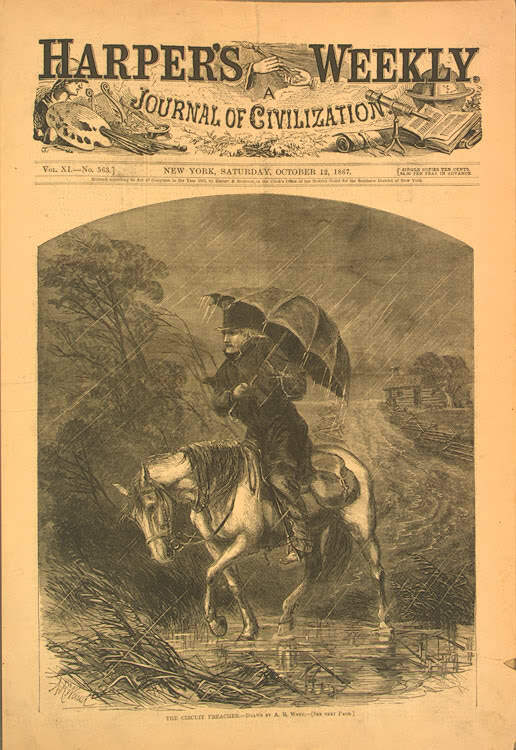 By August 12 he was on the road again, off to Union City, Pennsylvania for the first General Conference of Church of the United Brethren, Old Constitution. The legal wrangling over the division of church property began almost immediately. Even before the conference in Union City, Milton and his band of conservatives tried to secure the United Brethren publishing company, by far the most important asset owned by the Church. But the courts went against them and the liberals remained in possession of the business. At the conference, Milton was elected a Bishop and was put in charge of the litigations. It was a busy time for him; the division of assets would not be completely settled until 1900. And it was not particularly rewarding, As the cases concerning local church properties and buildings made their way into the State courts, all but one of the judgments went against the conservatives. More importantly, the conservatives lost an organizational structure and a labyrinth of interpersonal connections involving people, committees, businesses, and communities that had taken the better part of a century to build. All of this had to be rebuilt, and it took time, energy, and money. With this weighing on him, it was admirable that Milton immediately noticed his younger sons' new-found new-found interest in aviation. But he had always been interested and involved in his children's affairs. As was their custom, he and Wilbur exchanged letters when Wilbur and Orville traveled to Kitty Hawk for the first time. Wilbur confessed that he hoped to make some money and perhaps achieve a little notoriety from his aerial experiments. Sister Katharine chimed in to the correspondence and assured her father that her brothers would not be reckless. Through all of their experiments and subsequent efforts to sell their invention, Milton's support was absolute. It's notable the when the Wrights made their first successful powered flights on December 17, 1903, they addressed the telegram that announced the event to their father. It was his duty and pleasure to inform the press. At the same time his sons were becoming more prominent, Milton's fortunes were waning. Although he he was for all intensive purposes the savior of the Church of United Brethren, Old Constitution and the most prominent Bishop in the flock, his inability to compromise and often caustic personality eroded his support within the Church ranks. By 1905, the Church had quite enough of Milton Wright. These disagreeable feelings came to a head in the matter of Milliard F. Keiter. Mr. Keiter served as the Church's publishing agent, the same post that Milton had occupied just after the break with the liberals. In fact, Milton had promoted his son Wilbur to fill this post in the General Conference of 1893, but Wilbur lost to Keiter. Keiter served two terms as publishing agent, from 1893 to 1901. He was looking forward to a third term, but a month before the General Conference Bishop Milton Wright, suspecting Keiter of fraud, ordered an audit of the publishing accounts. The auditor found a discrepancy of $6800 and Keiter was removed from his post. At his hearing in 1902, Keiter managed to convince Church officials that the discrepancy was due to sloppy accounting rather than deliberate fraud, but Milton would have none of it. 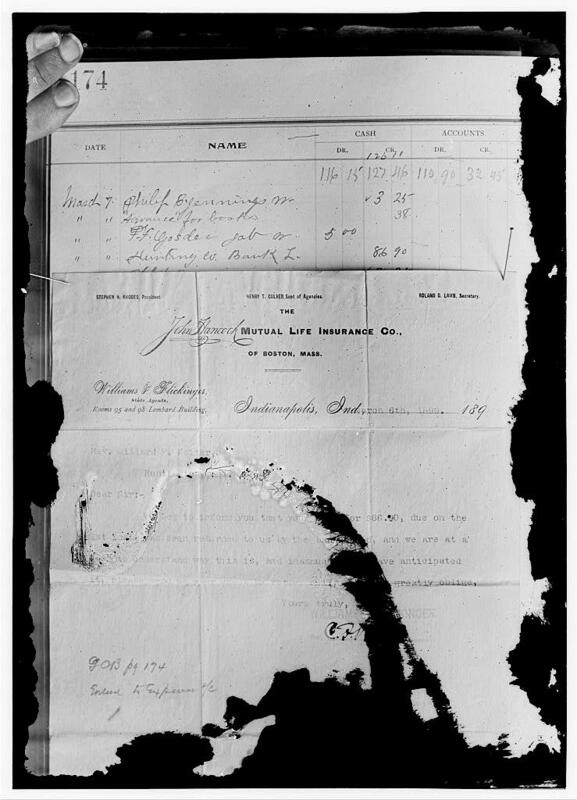 He asked Wilbur to look over the books in 1902 and Wilbur found unmistakable evidence that Keiter had used church revenues to buy clothes, pay his own insurance, even purchase building materials for his home. Acting without the approval of church officials, Milton brought charges against Keiter in the public courts. The charges were dismissed – the particular wrongdoing that Milton had focused on was outside the Statute of Limitations. But Milton continued to dog Keiter. His refusal to let the matter lie annoyed Church officials and turned them against him. Keiter saw his opportunity and struck back, charging Milton with a breach of the Discipline which instructed the Brethren to settle their differences with one another out of court. The White River Conference – the same conference within the Church that had made him a minister – tried him absentia for libel and demanded that he confess his sins. The affair continued to fester until the General Conference of 1905 in Grand Rapids, Michigan. 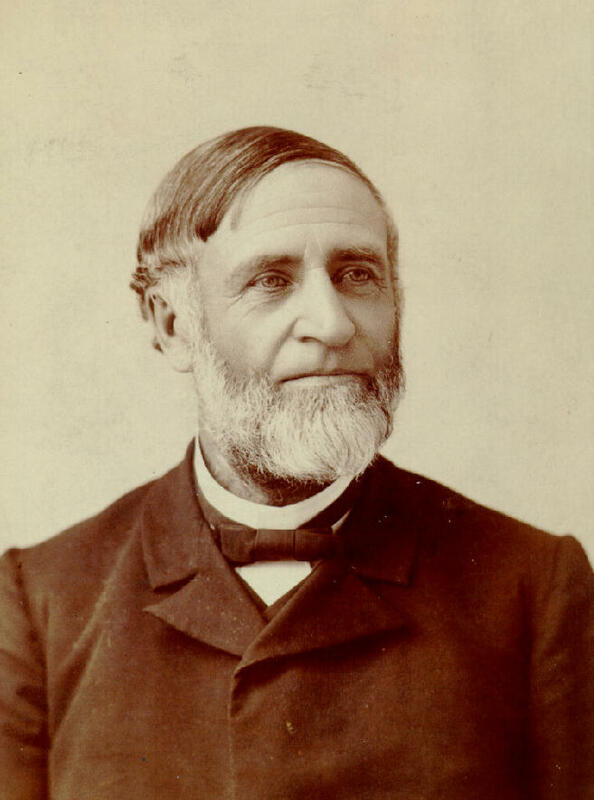 The church upheld the righteousness of Bishop Milton Wright against Keiter's charges, but at the same time they forced Milton into retirement by stripping him of his bishopric and other official church duties. At the age of 77, Milton Wright was no longer a force to be reckoned with. He spent his final days with his family. As he had done for so long, he resided at 7 Hawthorn Street with Wilbur, Orville, and Katharine. 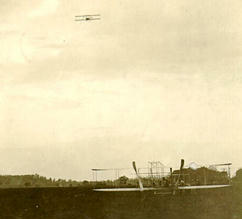 He enjoyed his sons' success when the Wright brothers demonstrated their flying machine in Europe and America. 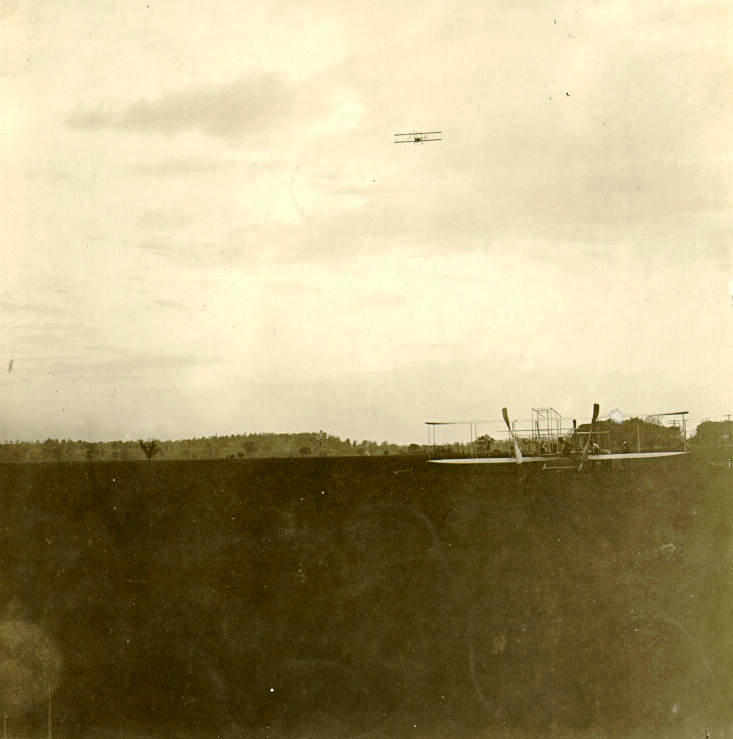 On May 25, 1910, his son Orville took Milton on his first and only airplane flight, taking off from Huffman Prairie near Dayton, Ohio where Wilbur and Orville had perfected their invention. He was distraught when Wilbur died in 1912, convinced that his son was a victim of overwork and stress brought on by the likes of Glenn Curtiss and others who had usurped the Wright patent. He moved to Hawthorn Hill in Oakwood with Orville and Katharine in 1914. In 1916, he wrote in his diary that "my strength has left me..." and began a long, slow decline. He died in 1917 at age 89 and was buried next to his wife Susan and son Wilbur in Woodlawn Cemetery overlooking Dayton, Ohio. 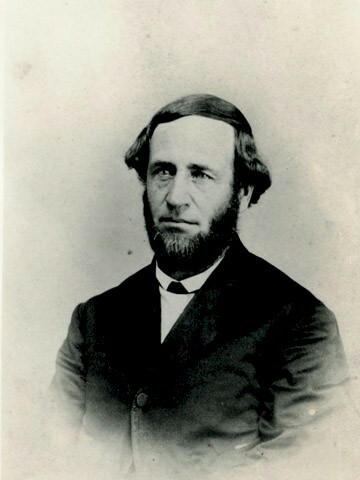 Milton Wright in 1871, then the editor of the Religious Telescope. Hartsville College in Hartsville, Indiana. Susan Koerner in 1858, a year before she married Milton. The cover of Harper's Weekly. 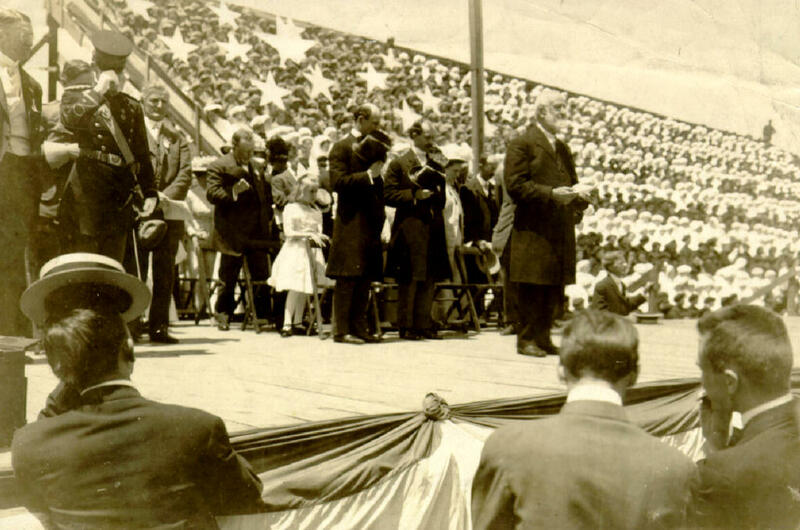 October 12, 1867, celebrated the stamina and dedication of America's "circuit preachers." 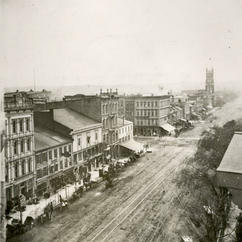 Main Street in Dayton, Ohio in 1872. The publishing offices of the Church of the United Brethren on East Third Street in Dayton, Ohio. This covered bridge over the Great Miami River connected Dayton to West Dayton. 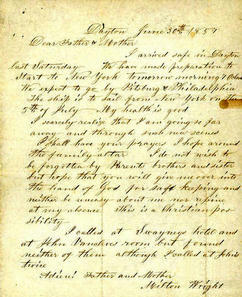 One of the thousands of letters that Milton wrote during his lifetime. This was written to his mother and father during a stopover in Dayton, on his way to Oregon. Adair, Iowa achieved some fame just before Milton built a house there. It was the scene of Jesse James' first train robbery. 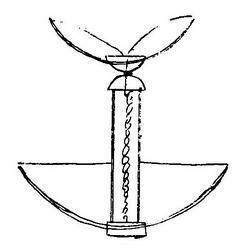 Later in life, Orville drew this picture of the toy helicopter that his father had bought for him and his brother. Milton Wright in 1888, as he prepared to do battle with the United Brethren liberals. One of the pieces of evidence that Wilbur helped to assemble against Millard Keiter. Milton gives the invocation during the Homecoming Celebration of 1909 when Dayton welcomed the Wright brothers back from Europe. Orville was concerned that his father might be nervous when he took him aloft in 1910. But after they had circled the field several times, Milton leaned over and yelled above the roar of the engine, "Higher, Orville. Higher!" 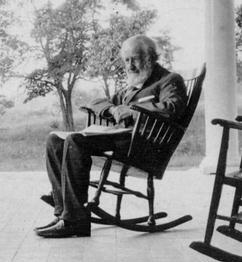 Milton Wright on the porch at Hawthorn Hill near the end of his life.